To increase the use of social media to engage patients and others in the development of the surgery and healthcare in general. Read our 2017 Chair's Report to see everything the group did in the last 12 months. History of General Practice in Ainsdale. At the September AGM Dr Bennett gave a very informative talk on the history of General Practice in Ainsdale and some of the challenges we face in the future. You can read his notes here. Our PPG is made up of approx 12-14 patient volunteers. We meet five times a year ( normally at 6:30pm) to discuss various issues around improving how the practice operates. 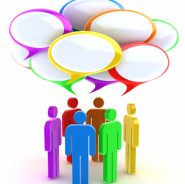 We will soon be transitioning our on-line patient participation group into a forum that meets physically three or four times a year alongside the on-line discussion forum. If you would like to be involved in the group please get in touch with the Practice and tell the Receptionist you would like to speak to the Practice Manager about the PPG. Our objective is to make the group as representative as possible - 30% of our population is aged between 17 and 34 and yet they are not represented at all in our current group. 2013/4 Patient Participation report - read our report on the work we have been doing with our Patient Reference Group including the results of the patient survey we carried out recently. Patient Reference Groups (PRGs) are an effective way for patients and GP surgeries to work together to improve services and to promote health and improved quality of care. Read the terms of reference for the PRG.